LMR explains the benefits, power gains, and procedure of switching to E-85 on your 2011-2018 Mustang. 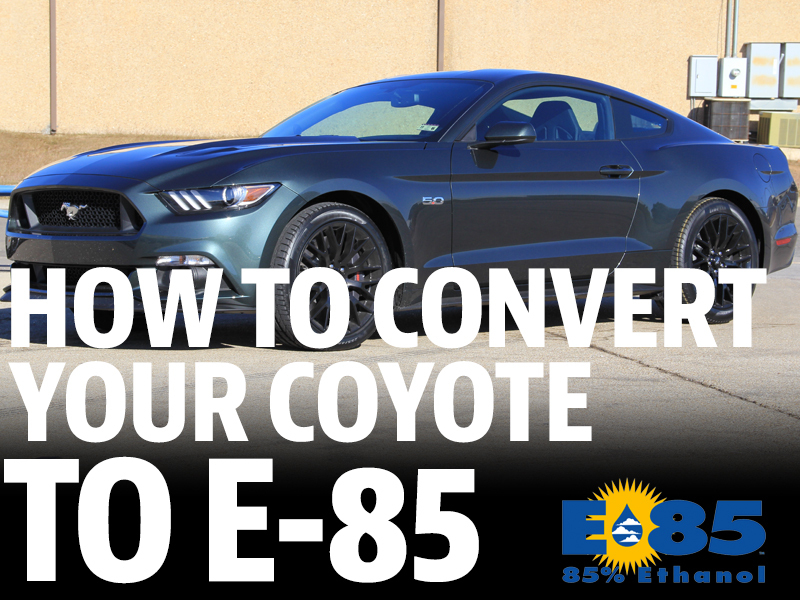 Converting your coyote to E-85 can help improve power! 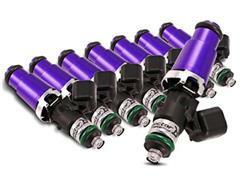 Converting over to E-85 is becoming a very popular option among 11-17 mustang GT owners. E-85 is a very economical way to increase horsepower without a lot of modification. Converting over to E-85 is very simple and requires very little fuel system change depending on your mustang. E-85 is a ethanol based fuel that contains 51%-83% ethanol and is readily available at many local gas stations around the country. The main benefit to E-85 is its increased octane rating. The octane of E-85 will vary depending on the actual ethanol content of the fuel. However, most E-85 will carry an octane rating of 100+. This means that you can run more timing and more boost, which means more horsepower. E-85 is usually found at a cheaper cost than standard premium fuel. The combination of availability and cost of E-85 makes it a great option when looking to get more power out of your mustang. However, this fuel does come with it’s own drawbacks. E-85 burns much faster than regular premium gasoline and will require 30% more fuel over standard premium fuel. When converting your 11-14 Coyote mustang over to E-85, you will need to do a few fuel system modifications for everything to run properly. 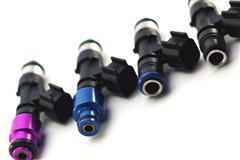 You will be required to run a minimum of a 47lb fuel injector depending on your modifications. You will also be required to have a custom tune to support the E-85 and it’s needed fuel delivery. 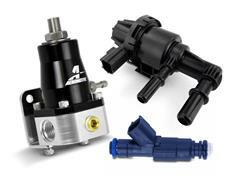 The factory fuel lines and fuel pump will support E-85 in a naturally aspirated application without issue. When converting your 15-17 Coyote over to E-85, it does not require as many modifications depending on the vehicle. 15-17 owners can run E-85 on the factory fuel injectors as long as they are running the factory intake manifold. You will still be required to have a custom tune to calibrate the PCM for the needed fuel. However, if you own a 15-17 mustang GT with an upgraded intake manifold, you will require a minimum of a 47lb injector. The factory injectors will not be able to withstand the fueling needs from the increased air flow of the upgraded intake manifold. 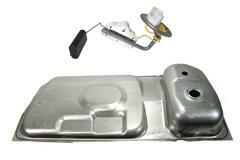 E-85 is a great option for those looking to get more horsepower out of their mustang. The growing availability of E-85 makes it a solid option when considering your next modification.